Navjot Singh, a well-known British author, journalist and photographer, takes us on a tour of Beijing. Be sure to check back in with us for some more insightful reviews from Navjot’s travel exploits. 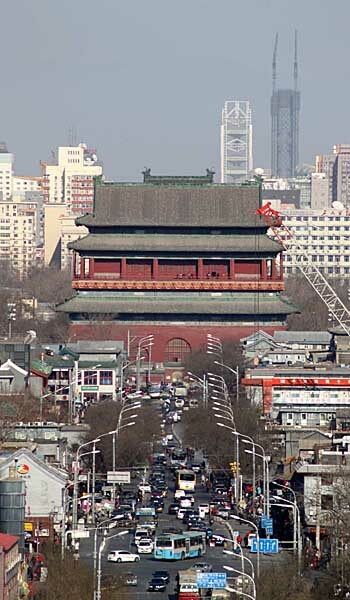 Beijing – a city which over 20 million people call home. When you arrive you are immediately bombarded with smells and just overwhelmed by the sheer density. The more you travel to Beijing, the more you want to see. It’s a city that makes you want to really come back again and again. Now, when I say that it would take a lifetime to see Beijing in its entirety, I really do mean that. All you can do is enjoy the ride, taste the sights and flavours and absorb the experience to its full intent. Having lived and worked in this metropolis for many years has had a lasting effect on me. So every time when I come back, it is like being back home. I love Beijing. Chinese New Year (it falls on Jan. 28 this year) is an auspicious time in China. For many, it is the only time in the year to visit their families. For a Western tourist coming to China, it brings along joy in the sense that the city is not as crowded as usual. Think Christmas time in the West and you get my point. It is perhaps the best time to visit the city. Start your visit by absorbing over five thousand years of rich culture and history. 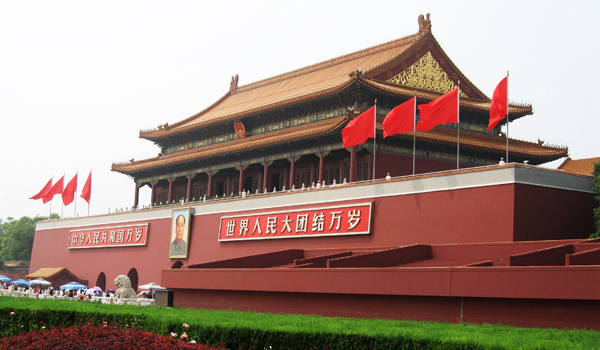 One of the largest open squares in the world, Tiananmen Square is located to the north of the Forbidden City, the world’s largest royal palace complex, covering an astounding 74 hectares. 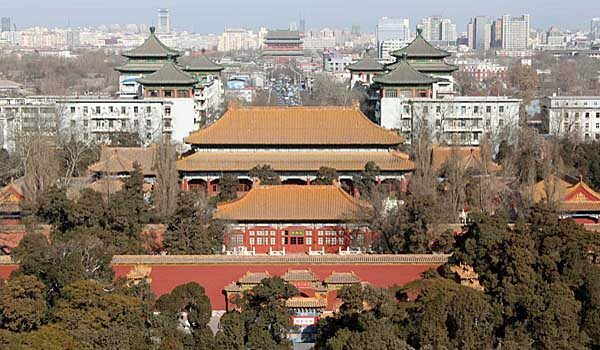 It is situated in the centre of Beijing and, as you will notice with the majority if parks, trees and open spaces around Beijing, everything is symmetrical. Moving away from the Forbidden City there are other splendours that Beijing has to offer. Take a stroll through the ancient Imperial garden known as Beihai Park or rest at Tian Tan (The Temple of Heaven), which dates back to the Ming Dynasty. 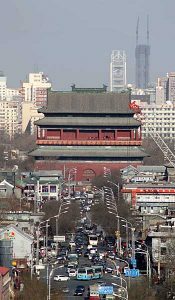 To the west of the city centre there are two historical palaces, Yi He Yuan (Summer Palace), and Yuan Ming Yuan (The Old Palace). The Summer Palace is a place that can offer tranquility to those fed up with being in the hustle and bustle of the city centre of Beijing. 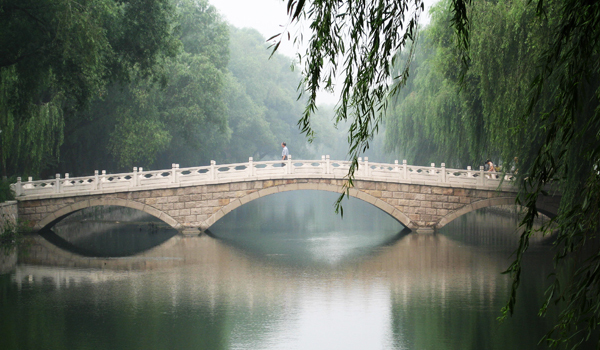 Even for native Beijingers, the Palace grounds are a place to escape from the stresses of daily life for a few hours at the weekend. A few kilometres to the west of the Summer Palace is the Xiang Shan Gong Yuan (Fragrant Hills) and the Beijing Botanical Gardens, both are best seen in the autumn when the leaves turn red and bright orange. Another suggestion is to take a half-day trip to explore the magnificent Ming Tombs – if you have time. Situated around 50 kilometres northwest of the city, the tombs are made up of a large processional pathway lined with stone statues leads to the historic structures, which are the mausoleums of the thirteen Chinese Emperors. Xiāngshān Gōngyuán (meaning Fragrant Hills Park) is located about 30 km to the northeast of Beijing’s centre. Less frequently visited by foreign tourists, Xiāngshān is a beautiful park with at least five pathways leading to its peak (approx. 550m). After spending the day at Xiāngshān and Běijīng Zhíwùyuán, it would provide a nice ending to the day if you visited the town of Wu Dao Kou – an area near the Tsinghua and Beijing Universities, popular with tourists, foreign students and expats alike. There are a myriad of restaurants of all different types of cuisines (including Korean, Mongolian and Japanese). My top eight things to do and see in Beijing! With at least eight major cuisines, eating everything in this magical city is no easy task and you will never go hungry – no matter what time of the day or night. It’s an understatement to say that you need a big appetite, and plenty of days to experience it all in! There are a large number of quality restaurants for all tastes and budgets. Reflecting the city’s rapid financial development, there has been an increase in the number of fine-dining restaurants. Don’t leave without trying freshly roasted duck at the famed Quanjude restaurant in Qianmen or the Beggar’s Chicken at Made in China at the Grand Hyatt. Both are signature Beijing dishes that must be tried before you leave. Nestled neatly in close proximity to major metro stations, the relatively new Kerry Hotel, Beijing with 486 spacious and elegant rooms and suites provides the finest accommodation and superb dining options. Effectively, you’ll be glad to know that the property is part of the world-famous Shangri-La service, which means only one thing, and one thing only: first-class quality service. Apart from the usual facilities expected from the Shangri-La hotel, the Kerry hotel has a few hidden gems- complimentary mini-bar in all the rooms, the largest and most comprehensive 24 hours’ hotel based fitness center, spreading across 7,000sqm across three levels; and for the kids, an Adventure Zone which is Beijing’s ultimate kid powered space. Beijing Capital International Airport is well connected with direct flights to the US and Europe. Air China, Hainan Airlines, Hawaiian Airlines, Delta Airlines, American Airlines, and United Airlines all operate non-stop flights to Beijing from various American cities including New York JFK, Newark, Houston, Boston, Los Angeles, Detroit, San Jose, Guam, San Francisco, Seattle, Washington and Chicago. I flew with Emirates Airline, who operate flights to Beijing from 11 cities in the US, through a stopover in Dubai. To learn more about Navjot and his travels, be sure to check out his website: www.navjot-singh.com. How To Get There: As noted by the author, Beijing Capital International Airport is the main airport, and is approximately 20 miles from downtown. The secondary airport for Beijing is Nanyuan Airport, that only has domestic flights. The easiest way to get into the city from Beijing Capital is by taking a taxi, that will cost anywhere between $15-$20, depending on traffic. You can opt for the Airport Express train that takes about 30 minutes to get into town and costs under $4 each way. Information regarding area transportation is available here. Best Time To Visit: Beijing’s shoulder seasons (March-May & Sept.-Oct.) are the best times to visit, as the weather is more temperate and the local flora and fauna are in full bloom. Summer, while a popular travel season, can be hot, where high-80s in the day time is the norm, along with high humidity. Also be aware of local public holidays, as popular tourist sites can be filled with domestic travelers.